Dear Procrastinators, I get it. It’s much too difficult to determine what to do about your financial situation that, for the sake of your mental health, it only makes sense to play it “safe” and do nothing. Dear Go-getters, I get it. You want to get things done so that you can stop being harassed by your never-ending to do list and feel like you’ve accomplished something. If you’re single, you may have both aspects pulling you in different directions. You may wonder how in the world you can navigate these decisions on your own. I assure you that you can. If you’re married, you most likely are married to your opposite and you may be thinking that you should’ve thought about it more before vowing to stay together “for richer or for poorer,” right? My husband and I have a teenage daughter who is pretty great most of the time but sometimes acts like the teenager she is. She had a very typical – though foul – teenage response to something the other day. Consequences ensued. I explained that, unless and until she learns to control herself – her mouth and actions – she will never have choices, she will always be a victim of her lesser impulses. As long as we are in reaction mode, we’re not really choosing, we’re not intentional, we’re the victim of our (admittedly sometimes bad) habits and allow them to control our lives and financial situations. Don’t you want more? Don’t you want better? You may have heard the term “decision fatigue.” We have too many choices and our brains can only handle so much. How can you make good, wise, confident decisions with your money when you’re tank is empty? 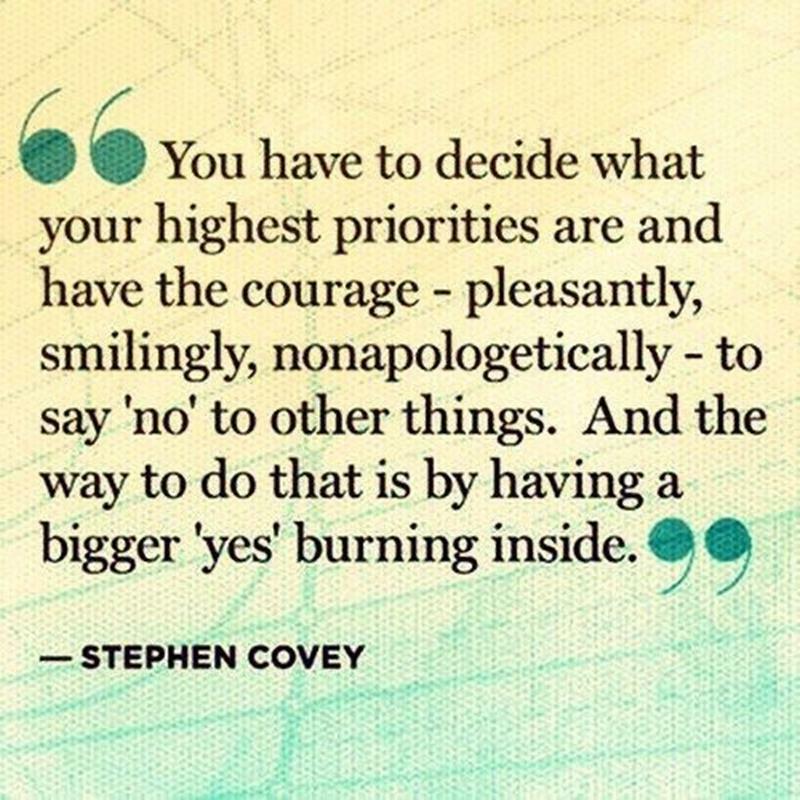 Define your priorities; what you need and value most in life. Detach from the need for other’s approval. This is easier after successfully completing #1. Fully love and accept yourself and your choices. Create a filter through which all decisions are made. This filter can also serve as a shield to protect you from the potential onslaught of differing opinions-even those in your own head. For example, I need projects & purpose in my life but I also need quiet time to read and study. I value both, but I will put more value on one or the other based on my energy at the time. Before taking on another project, I look at my life and determine if I honestly have the time and energy for it without stealing from my quiet time. If not, then it’s much easier to say, “No” confidently, and let it go. Simple. Effective. The same is true of financial decisions. Right now, my husband and I need to focus on our daughter’s education. Because of that, other financial decisions are weighed against this expense and if a purchase puts funding her education in jeopardy, we simply decide against it. Some people may think we’re cheap but that’s their hang up, not ours. You can see how this process helps procrastinators by giving them direction and clarity to make decisions and how it helps to impulsive/go-getters by helping them cultivate a reliably good habit by which to make better (even if quick) decisions. 0 responses on "Featured Blog: Three Steps to Making Better Financial & Life Choices"